Matchstick Marvels will take you on another fantastic journey as Patrick Acton completed his matchstick model of J.R.R. Tolkien’s City of Kings from the Lord of the Rings trilogy! 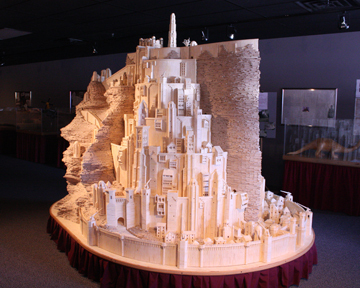 Come along for a trip to Middle Earth and its Great White City, Minas Tirith. Tagged with LoTR, Matchstick Terrain, Minas Tirith.